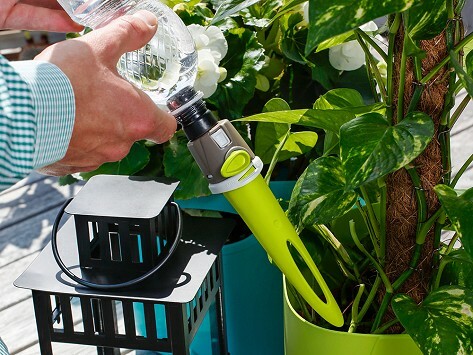 This set of three plant watering spikes is an easy way to keep potted flowers and plants consistently hydrated. A spike uses a water bottle to release water at a steady rate straight to the roots. Adjustable flow. Made in Italy. Dimensions: 5.9" x 11.02" x 1.96"